Jack: Welcome to the show today. In this episode Jill and I talk about Flirting to Convert. Two. Jack: to convert, let’s just say. Before we get into it, let’s take a question posted by one of our members on LandInvestors.com online community. It’s free. 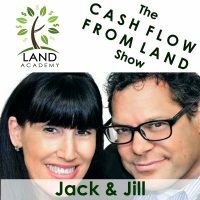 Jack: So, the program, the educational program that Jill and I provide on how to flip land which is on LandAcademy.com provides a library of contracts and agreements. They’re examples. Jill: So you have all ours right there. Jack: Do you want to use those verbatim? No. You want to put your own twist on it, and make sure that the specific situation is reflected in there. Jill: Right, but the meat’s there. Jack: Do you want to use Rocket Lawyer? Yeah, I’ve heard all kinds of good stuff. I’ve never pulled agreements down from there, but I’ll tell yeah, you’re doing the right thing here, asking this question on LandInvestors.com because everybody is- I mean there’s people all over our group, hundreds of people that do agreements all the time so, someone’s going to have a real good, up-to-date answer. We’ve been using the same agreements for quite some time, and it works for us. So, you’re in the right hands, let’s say. 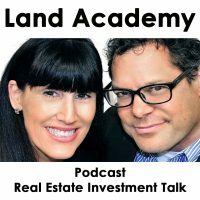 Jack: If you have a question, or you want to be on the show, reach out to either one of us on LandInvestors.com. Today’s topic, Flirt to Convert, at number two. This is the meat of the show. Jill, I know you have a tremendous amount of experience in sales, even right up to the last 20 seconds. Jack: Me and the kids joke about it. If she’s talking, she’s selling us something. I don’t even know I’m being sold something. Jill: We don’t have a thing on you. I need to come up with one about you. Jack: She’s selling me on putting my pajamas on. Jack: She’s selling me on what to eat for lunch today. Jack: When they were little. It’s a compliment. Jill: No. Thank you. That’s just called good parenting. And picking your battles. Jill: That’s a good one. Jack: Or when is it healthy, helpful? Jill: Can I talk now? Jill: I’m just teasing. Anyway, this whole concept, this whole term, if you will, Flirt to Convert, I had never heard it before. It was one of my co-workers years ago, picked up on the fact that- I was working in an environment where I was a woman in a man’s world. All of my customers, if you will, were men. It was kind of funny- even though I was working in sales on a product that I did not know a lot about, it had to do with automobiles and things like that. I wasn’t a pro, but I could still talk my way around. I could have a decent conversation with people. I knew enough, about engines and things like that. Once you get people talking, if you get people talking, we all know this, and it’s something that they’re passionate about, oh just let them go. They’ll keep going. Anyway, I was really good at my job, it’s a long way to say that. It was funny because it was cute that I’d get these people that I’d realize later on, they’re not even calling me to di- it got to the point where I had to cut them off a little bit. They weren’t even calling me to talk about anything to do with my job, they were just calling me to talk, to me. Jill: It was funny because my co-worker, Boyd, came up with the term Flirt to Convert, do whatever you have to do. And I’m like, oh that’s hilarious. I thought that was the funniest thing. But, what’s really funny is, I don’t have a problem with it, and I don’t think even my customers have a problem with it too. I think everybody knows when there’s some of that going on. Jill: Don’t you know, Jack, say you’re in a shop or you’re in a store, and the salesperson might be an attractive women, and she turns it up a little bit, and you’re going, “You know what. I’m going to buy this suit today and I’m going to buy it from her. And I’m feeling really good about this because I really like her.” There’s a little bit of both. You kind of know what’s happening a little bit, you’re not blind to it. Let’s be honest. And you’re like, you know I like this person, I’m gonna do it. There’s a lot of decisions that we make- we personally make decisions- I mean this is the point of it, making decisions because you like that person. Maybe it’s not even a flirty position, maybe I feel I trust them. I can tell they’re sincere. They’re transparent. They’re really are giving me the inside track. They’re explaining the whole process, so I don’t have any questions. Jack: Men and women make buying decisions real different and that’s fine. I’ll tell you what pushes me over the edge in a positive way. Jack: Giving me all the information. Jack: Establishing some trust. And I mean, reality. Jack: Like, “I gotta to tell you that this car you’re about to buy, really needs an oil change. But I did put new tires on it. It’s probably gonna need transmission work in about 10,000 miles.” Now, I’m getting very close to being sold. Jack: I’m not standing there talking to the person unless the prices are right already. But, trust, and I’d like to think that’s what we’re trying to do here. Establishing trust is really high and honesty is high in my ideal. And then, an attractive female never hurts anything. Jill: So how do you do this. 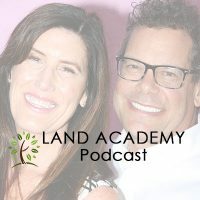 Let’s say you’re running your own business and you want to be that person, you want to be the trusting seller, of whatever it is, for us it’s properties, that everybody goes to and they believe in you. One of the ways you do that is you’re transparent, and everything lines up. Your story is legit. If I pulled up your website and I read your about page, it matches your LinkedIn. It matches all of that stuff. You’re all the right person. Jack: Oh my gosh, no. Jill: Nobody wants that. You talk to people like it’s your brother. Well, not my brother. Jack: Don’t drive like my brother. No, that’s my other brother. Jill: Talk to them like my dad. No, not my dad. Jack: Nobody wants to be blindsided or surprised with these things. Nobody wants to be taken advantage of. This is real basic stuff. Jack: Everybody wants, they want to know it’s gonna be okay. I said it a long time ago, I used it in one of the programs- visual buying a car, let’s say it’s a new car, I don’t know why you’d every do that. Then you’re driving away and inside the dealership all the guys are high five-ing each other. “Yeah, we got that guy. How much money did you make on that?” That’s the absolute opposite of what you want to do. There are several people in our group who make a ridiculous amount of money. I’m going to be straight about it. Luke Smith is one of them. Why do you think Luke Smith is so successful? One of the reasons is he takes total responsibility for these deals. He makes it incredibly easy for people to buy it, with credit cards and stuff, and he comes off as a regular guy. Luke is really from a rural area. He knows these products really well. He grew up in a rural area. He’s got his picture on his website. You talk to him, he’s a straight shooter. There’s no B.S. about him. He’s not selling anything. He really is selling. That’s really my point to this whole show. If you sound like you’re selling, it’s not going to work. If you’re really just telling the truth and being available and doing basic stuff, answering your phone, you’re gonna do well. Jack: Or in Jill’s case, if you’re a soccer player who needs to change a shirt in front of the television that’s fine too. Jill: That’s fine too. That’s what we want. That’s it. That’s why we’re here. Jack: That’s why we’re here. That’s not why I’m here but I get a kick out of it, that my girl enjoys it. Jill: Exactly, over brunch. During brunch. That was funny. I was a little distracted there in that, during that- who knows what we were even talking about. All I saw was this guy without his shirt. Jill: So, the point is. We joke about Flirt to Convert, but it’s really about being a trustworthy and honest and upfront person and being transparent and treating people the right way and answering their questions. Jill: They’re a little afraid of you. Jack: For whatever reason that sticks. Jill: Don’t make eye contact, don’t make eye contact. Jack: Have I made more money because I don’t want to talk to people, or been more successful, no, in fact quite the opposite. So I want to be real clear on that. It’s just a personality thing that I have. Jill: That’s what we’re calling it? Jack: It’s not helpful. Don’t emulate it yourself. Jill: Just a personality thing. It’s called a disorder. Jack: It’s just a personality disorder. Anti-social. Jill: It’s just a hang-up. For some people they call that depression? I’m sorry, I’m not saying you. Jack: We should call this show Cry to Convert. Jill: That’s another tactic. We’ll get into that one next time. Jack: Jill, you’re killing me man. Jack: This isn’t helping anything now. Jill: Did we cover it well? Jack: I think we did. Jill: I think we did. Jack: Just be honest, I think that’s the whole point. Jack: Join us in our next episode where we discuss when to stop selling. Jack: when is it just too much? Jill: Yeah, that was good. Hey if you like this, please go and rate us on iTunes or wherever you are listening, because we appreciate that. Jill: It helps if you’re likable. It’s all full circle. Let’s think about it. If you’re a jerk, no-one’s gonna like you, and you’re gonna have problems. IF you try to be a good person, and you try to do the right thing, even if it comes hard to you, but you’re still standing up- you just said Luke takes responsibility, and does the right thing. Then it all is easy. Jack: Information and inspiration to buy undervalue property. That was too sales-y just how I said that.